Vijayadashami also known as Dussehra is an important Hindu festival celebrated in a variety of ways. 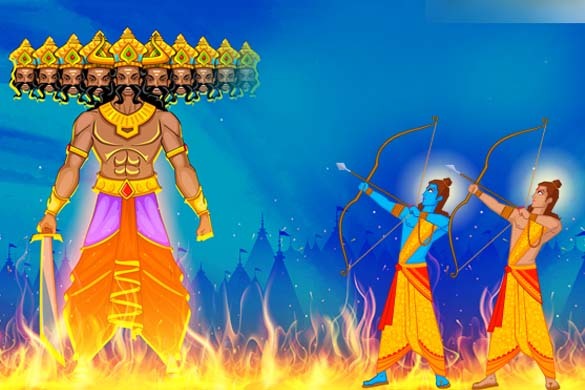 “Dussehra” is derived from Sanskrit; Dasha-hara is a form of Dashanan ravan (“Ravana’s defeat”). This day also marks the victory of Durga over the demon Mahishasura. The goddess fought with evil for ten days and nine nights. “Vijayadashami” is derived from the Sanskrit vijaya-dashami (victory on the dashami: the tenth day of the Hindu month).